The new standard SR 150 gets a part-digital and part-analogue instrument cluster. It also gets four new trendy colours – Matte black, blue, glossy red and white, and is also accompanied by an adjustable suspension. The scooter is still powered by a 150 cc 3-valve engine which makes around 10.2 PS of power and 10.9 Nm of torque. The scooter also features optional connectivity features and a standard USB port. It is priced at Rs 70,000 ex-showroom. 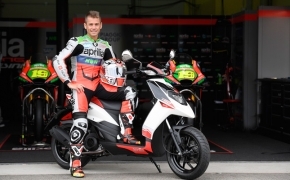 The new Aprilia SR 150 Race is inspired from MotoGP flagship superbike RS-GP. The scooter features a white base with red and green body graphics along with red 14-inch alloys and an adjustable suspension, 220mm disk brake, golden caliper, digital console and tall windscreen. 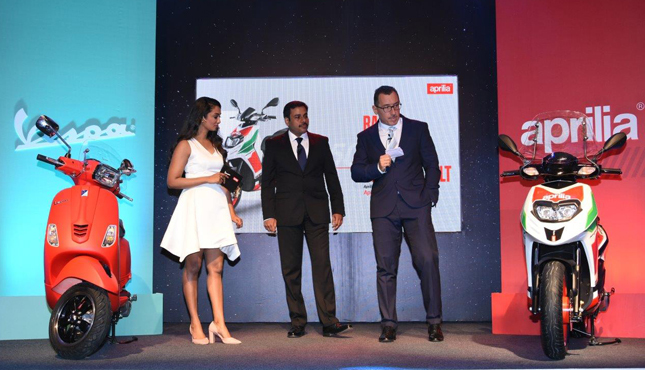 The rider will also get a colour matching race helmet with the purchase of the SR 150 Race Edition. It also has Bluetooth connectivity feature as standard and a USB PORT. 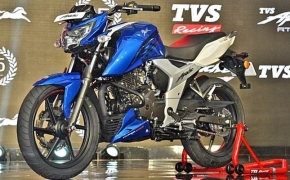 The scooter also features a retuned CVT gearbox and it has an ex-showroom price tag of Rs 80,211. The all black Aprilia scooter features a Carbon theme. It has full black styling on its body and wheels. It gets the Bluetooth connectivity as standard and using this feature you can access various aspects of the scooters, locate your scooter’s location using “Find me” feature, navigate your way through unknown areas and even get in touch with customer care staff. On other models too, the advance connectivity feature works in the same way, the only difference is that it’s not standard. 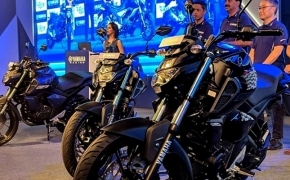 The ex-showroom price of the Carbon SR150 limited edition with Bluetooth connectivity is Rs 73,500.